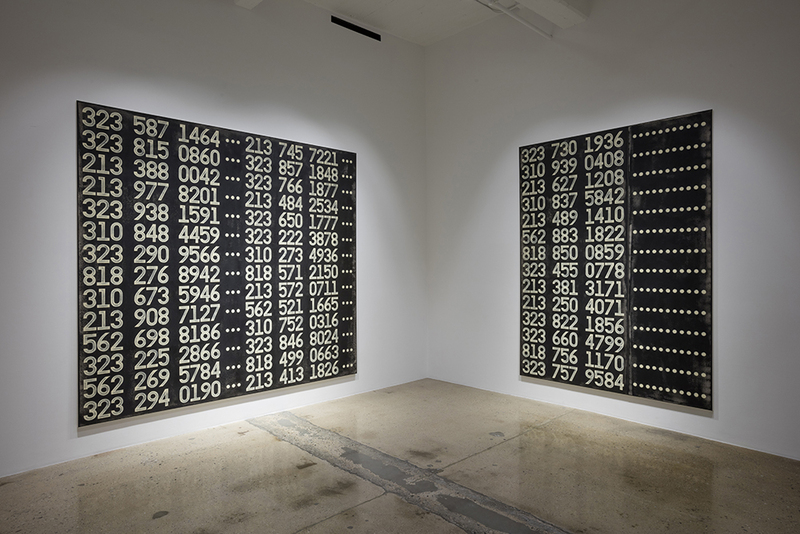 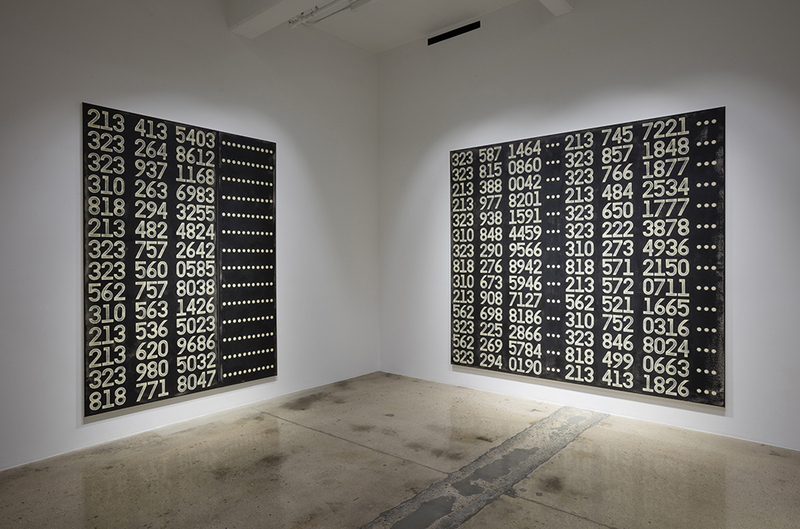 Steve Turner is pleased to present Ladies and Gentlemen, a solo exhibition by Los Angeles-based Phil Wagner that features paintings of numbers and dotted lines. 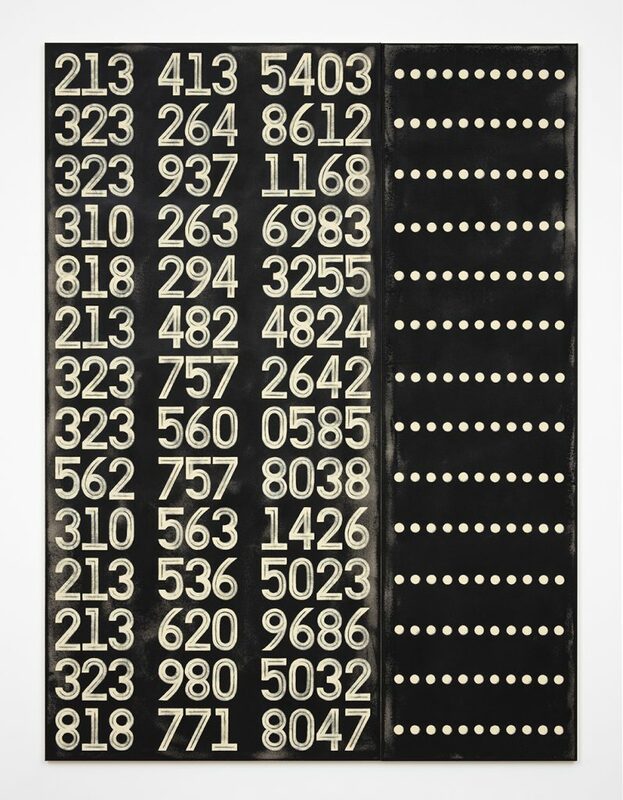 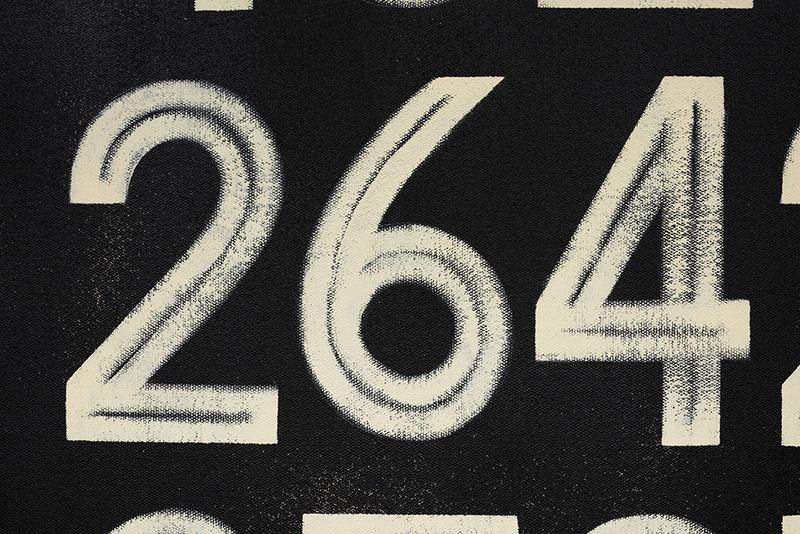 Uniformly painted in black, white and grey, the numbers are instantly recognizable as phone numbers because the first three numbers are area codes within Los Angeles County. 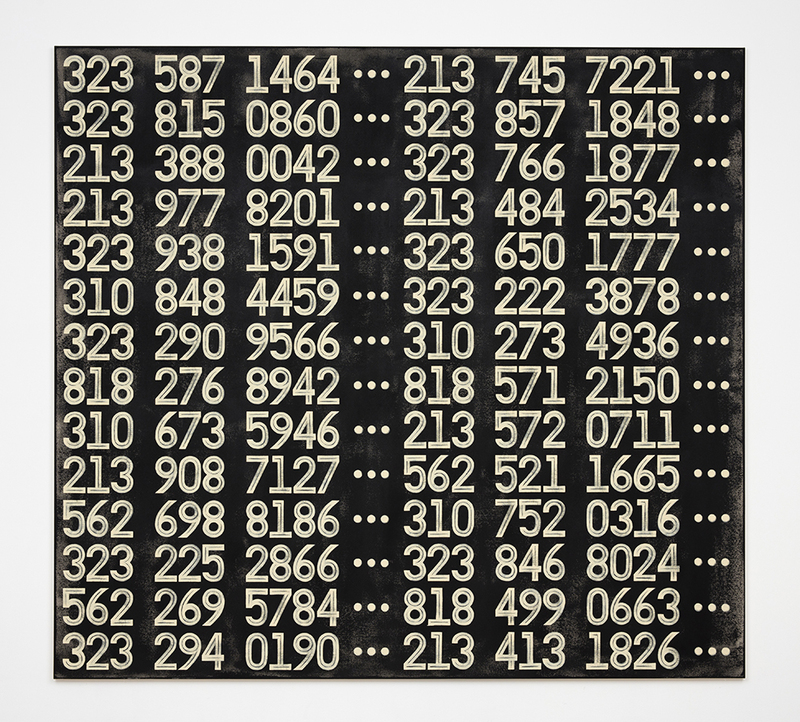 Consequently, Wagner has transformed seemingly random numbers into painterly images with regional identity. 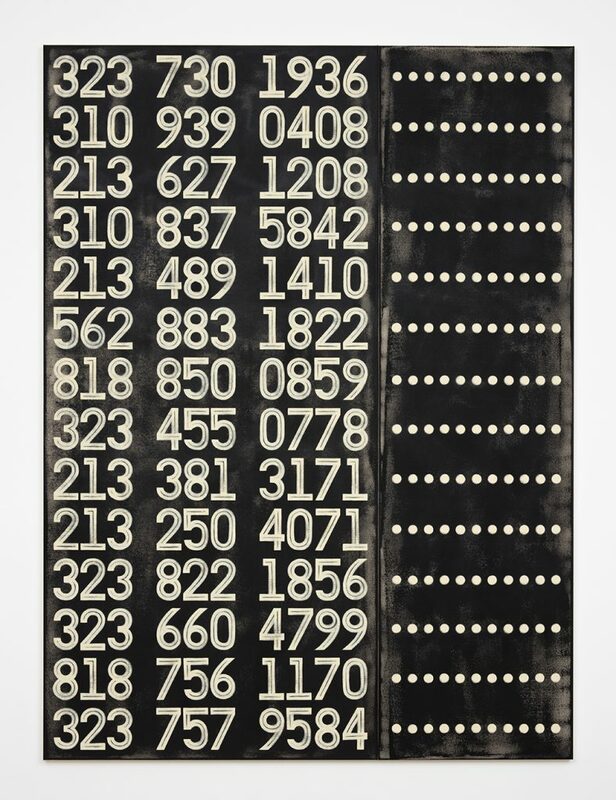 Phil Wagner (born 1974, East Moline, Illinois) earned a BFA from Illinois State University (1996) and an MFA from San Francisco Art Institute (1998). 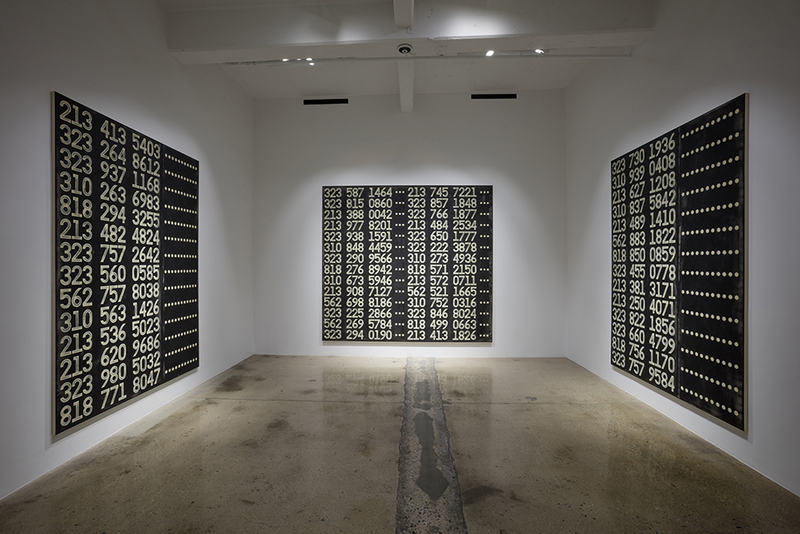 He has had solo exhibitions at UNTITLED, New York (2010, 2012, 2015); Mihai Nicodim, Los Angeles (2013); and two-person exhibitions with Henry Taylor at Rental Gallery, New York (2010) and with Jean-luc Moulene at The Arts Club, London (2013).